The Building is a two storey structure built as the manse for the Presbyterian Church in 1856-57, to the designs of architect David Ross. The church sold the bluestone house in 1886. The asymmetrically composed design has projecting wings, one with a bay window. Quoins, multi-pane windows, sills and hipped slate roofs are features of the design. The iron-roofed, timber verandah has been removed. 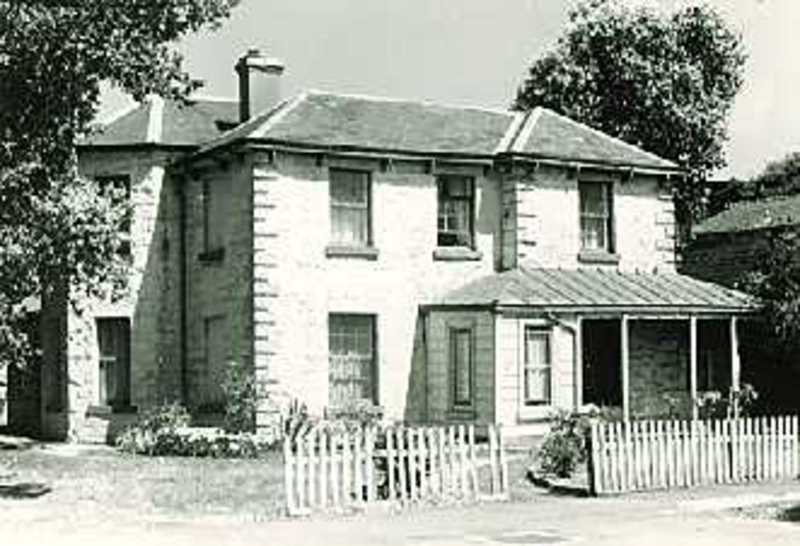 The former Presbyterian Manse is a particularly early surviving substantial house, an important part of the historic townscape of Williamstown, has historical associations and is of particular importance architecturally. Surviving substantial residences of the 1850s are not common and this building is given distinction by its detailing and bluestone construction. Stylistically derived from Georgian architecture, the house is one of its architect's few known works. It has been altered and added to and is in a deteriorated state and under threat by commercial development plans.